This study has 7 sessions, incorporating an introductory session and 6 lessons. 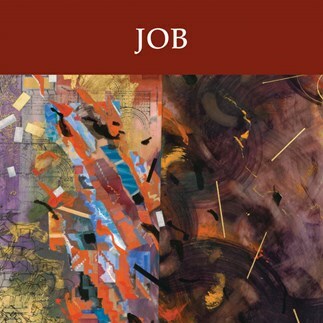 The study set includes the Study Guide by Clifford M. Yeary and the New Collegeville Bible Commentary, “Job,” by Kathleen M. O'Connor (Liturgical Press). Kathleen M. O'Connor is author of several books including The Wisdom Literature (Liturgical Press, 1990), Jeremiah: Pain and Promise, and Lamentations and the Tears of the World. She is the William Marcellus McPheeters Professor of Old Testament, emerita, at Columbia Theological Seminary, Decatur, Georgia, and also taught at the Maryknoll School of Theology in Ossining, New York. She is active in the Catholic Biblical Association of America and the Society of Biblical Literature. The book of Job tells the story of a righteous man who is overwhelmed by suffering and complains to God until God comes to speak with him. The stage is set for Job's suffering when God praises his servant Job to the Satan, who vehemently asserts that Job is only righteous because God has blessed him in every way. Take away his blessings, the Satan claims, and Job will curse God. In an age where suffering was seen as a sign of punishment for sin, Job's suffering is doubled when all his friends impugn his character as they witness his sorrows. This story speaks eloquently of the mystery of human suffering. Listen to God's Word in the midst of pain. These lectures correspond to the seven sessions outlined in the Study Set for Job.